In contemporary manifestations of public health rituals and events, people are being increasingly united around what they hold in common—their material being and humanity. 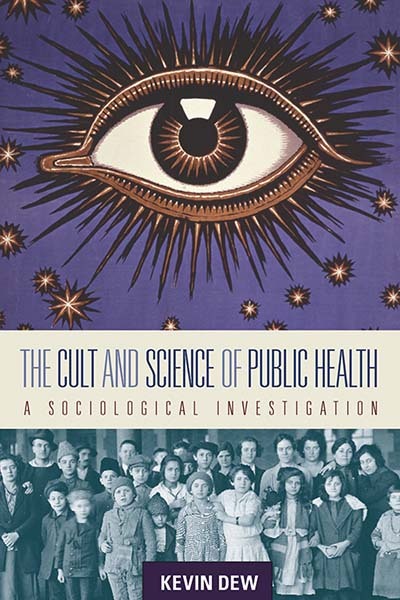 As a cult of humanity, public health provides a moral force in society that replaces ‘traditional’ religions in times of great diversity or heterogeneity of peoples, activities and desires. This is in contrast to public health’s foundation in science, particularly the science of epidemiology. The rigid rules of ‘scientific evidence’ used to determine the cause of illness and disease can work against the most vulnerable in society by putting sectors of the population, such as underrepresented workers, at a disadvantage. This study focuses on this tension between traditional science and the changing vision articulated within public health (and across many disciplines) that calls for a collective response to uncontrolled capitalism and unremitting globalization, and to the way in which health inequalities and their association with social inequalities provides a political rhetoric that calls for a new redistributive social programme. Drawing on decades of research, the author argues that public health is both a cult and a science of contemporary society. Kevin Dew is Professor of Sociology in the School of Social and Cultural Studies at Victoria University of Wellington, New Zealand. In 2007 he was awarded the inaugural scholarship award from the Sociological Association of Aotearoa/New Zealand for contributions to New Zealand sociology.